As you’re likely aware by now, Microsoft showed off Windows 8 at its BUILD conference today in detail, in order to finally give enthusiasts, users and developers alike the big picture of what the new system will look like. One of the expected features was the rumored Windows 8 Store, which is very much real and was shown off in-depth today. The concept of "app store" was first brought to everyday users on the iPhone. This method of distribution gives developers, even obscure ones, a fair shake in the development market place. 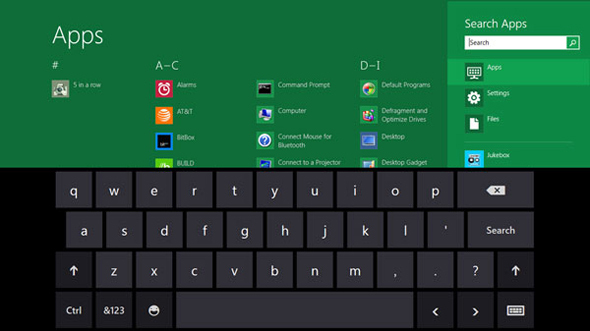 The Windows 8 Store is a directory of Windows apps that attempts to do just that. The Windows 8 Store looks just like any other traditional app store, with several categories of apps as well as a cover page with a list of feature apps. Through the Windows 8 Store, users will be able to browse a wide range of apps submitted by developers. There will be two kinds of apps available: traditional apps, similar to ones available for Windows today, and Metro-style applications which work on Windows 8’s immersive tile-based new user interface, similar to the ones found on Windows Phone 7. For Metro-style apps, Microsoft is making the Windows 8 Store the only means of distribution, which represents a departure from Microsoft’s traditional hands-off approach to Windows development in the past. It’s like ordering pizza. You know where your app is at all the steps along the way. According to Microsoft, there will be no cost submitting both free and paid-for apps to the Windows 8 Store, whether they’re Metro or not. However, Microsoft hasn’t specified whether it would take a percentage of the profits made from apps, like Apple and other makers do.